I would like to hear from anyone who cares to chime in. FIRST IMPRESSION -- what is this man doing? If you'd like a larger image, just click! I'll post the RANT after I get some feedback. I'll bite. 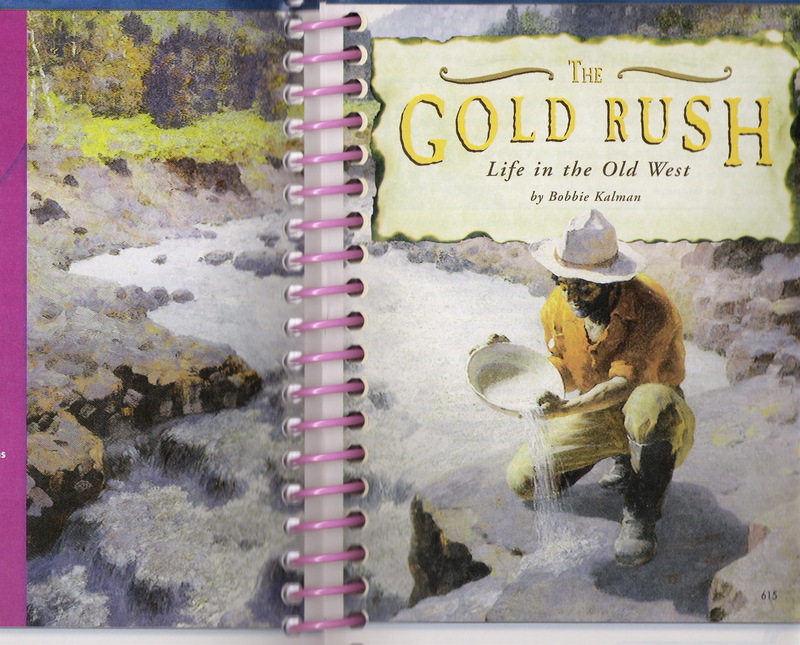 First impression: Panning for gold. I honestly can't imagine anything else. I wonder where you're going to go with this. Logic says he's panning for gold. What with the title of the book and all. Otherwise, I guess he could be a runner up for Aquarius, the water bearer? Okay, I'm totally kidding... My grade school education would tell me that he is panning for gold. Except I thought youd did that towards you, and not in that sort of motion? He's either panning for gold or draining pasta. Taking the title into account, he looks like panning for gold. Except you don't do it that way. Not with a deep, white pan standing on a ledge well away from the water. I'll admit that you did post rants after you got some feedback. But are you going to post a rant related to your students and this particular book?